What would be the reason for this security requirement? It's a leftover from the time when keypads didn't have the letters Q and Z. Security-wise, there's no reason. It's just because of old systems. You used to be able to enter your password over the phone. Some phones didn't have the letters Q or Z, like the one on the picture below. Because of this, passwords including these characters were disallowed. They haven't changed this requirement for whatever reason: Legacy systems, poor documentation, or they just don't care. On old phones, there were no letters "Q" or "Z": 7 is "PRS" and 9 is "WXY". So if you wanted to allow users to enter the password using the button on the phone, "Q" and "Z" presented a problem. Disallowing them is an easy—if somewhat crude—solution. There is direct confirmation from Jetblue via CNN now. American Airlines and IBM developed SABRE to facilitate making travel reservations by telephone at scale, in real time, in the late 1960's. However, rotary and touch-tone phones didn't have a Q or Z then. The number 1 belonged to long distance calls, and 0 for the operator. That left eight numbers to cover the entire alphabet. Bell Telephone Company assigned three letters to each number and left out the two letters we use least: 'Q' and 'Z.' That's how airlines became dependent on a phone-based reservation system with a limited alphabet. Sabre still exists, and partners with most airlines, including JetBlue. JetBlue told CNN that the "no Q or Z" rule still applies for JetBlue employees accessing Sabre. JetBlue passed the restriction along to TrueBlue members for their passwords, as described in the company password FAQ. The rule was quietly dropped and is no longer active. You can currently create nearly any password you want, as long as it's between eight and 20 characters. JetBlue told CNN it's now updating its FAQ page, but the company wouldn't comment on when they changed the rule. Qs and Zs are allowed now. It is not a legacy system holdover for Sabre, but it was for retail customers. 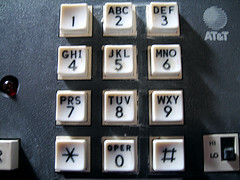 As other people have commented, it's a leftover from telephone dials and TouchTone(tm) pads initially not having Q or Z on them, and not having consistent locations when they were added by various manufacturers in various countries, and some systems that needed the option to set your password on a computer keyboard but later also log in from a phone keypad. A user interface design conference at Bell Labs I went to back around 1990 had one session on the "Where to put Q and Z on a TouchTone(tm) pad" problem. The speaker referred to it as "The issue that just won't die." It was pretty well attended, because it was at a convenient time, and an issue that everybody could intuitively understand and appreciate. The problem and solutions are simple and arbitrary and any one you choose has problems with it, or sometimes more problems. Pure speculation, but Q and Z are the least frequently occurring letters in English. To an attacker watching a stream of input characters, perhaps from a phone on a nearby table, Q and Z could signal a randomly generated password. Fundamentally, there is not any outright technological reason to ban these two characters from passwords. Legacy code in their systems that prevents the usage of these characters or their web app may import user accounts into another legacy systems that have such a ban in place, so they "bubble up" that requirement to the web app. This is not uncommon in web apps that interface with older AS/400 (IBM iSeries) or mainframe systems. According to the wikipedia article on password strength (http://en.wikipedia.org/wiki/Password_strength), prohibiting characters only REALLY serves to REDUCE the desired entropy of a given password, making easier to brute-force crack. Therefore, from a technical perspective, it appears that JetBlue's password policy actually results in a system with easier-to-hack passwords. The reason would be to have less work for the administrator in an environment with multiple keyboard layouts. Considering AZERTY and QWERTY keyboard layouts, all keys are the same, except Q - A, W - Z and ; - M.
Therefore it could be useful to avoid QWAZM in passwords because it makes them easier to type on different keyboard layouts. Of course, since you would also have to enter digits and special characters, and those are all in different locations on each layouts, it might not be too useful to filter out those letters, anyways. Should we be checking password restraints on log in forms? Internet courtship: Why would a hacker buy me poker chips?